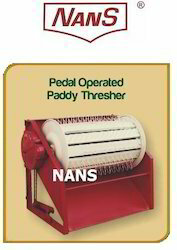 Leading Manufacturer of multi crop thresher and paddy thresher pedal operated from Chennai. Machine Can Be Fixed Onto The 3 Points System Of A Tractor. THRESHING CAPACITY OF PADDY: 200 KGS/HR. 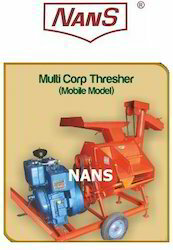 IT IS ALSO SUITABLE FOR THRESHING WHEAT, RAGI, MILLET OR GRAM THRESHING CAPACITY OF THE ABOVE MATERIALS: 250-300 KGS/HR.